Sea kayaking involves paddling on flat water like lakes and oceans. It's very different from whitewater kayaking on fast-moving rivers. If visiting some of the most dynamic places on the planet, bird watching or slipping onto a lake after work with new friends interests you, then the kayaking with the Everett Mountaineers is for you. For everyone's safety, Sea Kayaking is restricted to Mountaineers who have demonstrated proficiency by earning the Sea Kayaking badge. Each year, Everett (and other branches) offer an affordable course to satisfy that requirement. To search for upcoming courses, clinics, and seminars click here. Already know how to kayak? Click here to apply for your Sea Kayaking badge by submitting the Mountaineers Sea Kayak Equivalency Application. 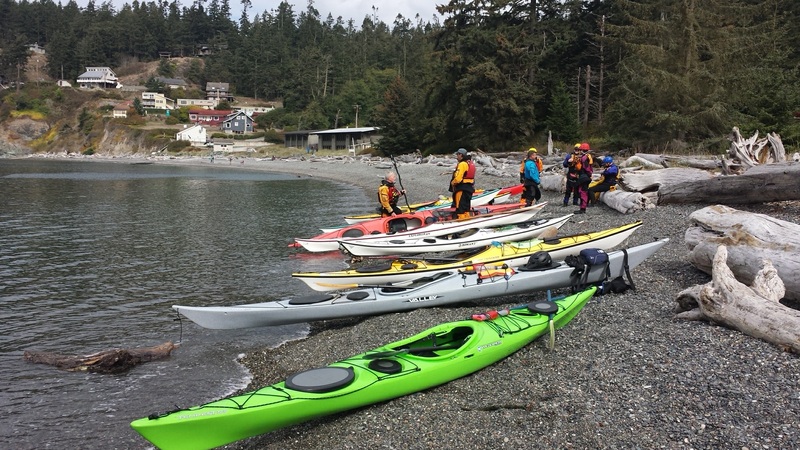 Kayakers from all branches are invited to participate in Everett courses and trips.